MASTERS swimming is fast on the increase and a number of clubs in the region are finding their adult membership growing. 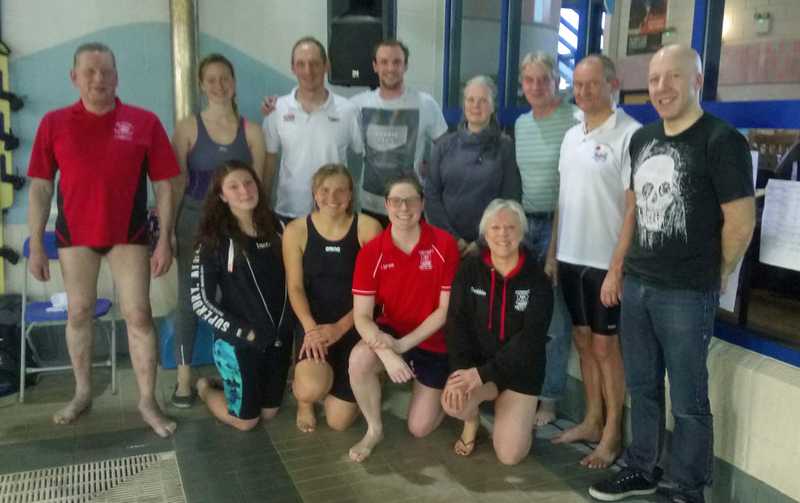 Caradon Swimming Club recently held their fourth annual Masters Meet at Saltash Leisure Centre. The competition attracted visiting teams from Cardiff, Helston, Dawlish & Teignmouth, Crediton and Devonport Royal SA and even swimmers from the Isle of Man. In total, more than 60 competitors, aged between 18 and 74 years-old, took part. Cardiff’s British breaststroke record holder and previous European record holder Helen Gorman was among the field and she claimed the top female award after winning all seven events she had entered. Caradon topped the team points with 211.5 points, but Devonport Royal were not far behind in second and went home with the top visiting club trophy for the fourth year running. Devonport Royal’s Marisa Schubert produced some impressive swims to finish as runner-up to Gorman in the top overall female category. Club colleague Paul Russell was also runner-up in the overall top male section, with Caradon’s para-swimmer Matt Clowes, competing in his first masters event, taking third. Devonport Royal’s Chloe Game took part in her first competition, debuting at the 400m freestyle, while Debbie Carr set a new PB in the 50m backstroke. As well as Clowes winning a number of golds, Caradon also had Hannah Kett, Paul Hatton, Mick Swift, Sam Crosby, Vicki Buck and Elenie Shotton winning events. The Devonport team was made up of Schubert, Russell, Darren Green, Chris Rollinson, Debbie Carr, David Smith, Sue Smith, Lauren Hayhurst, Laura Lamb,Chloe Game and Paul Burns.